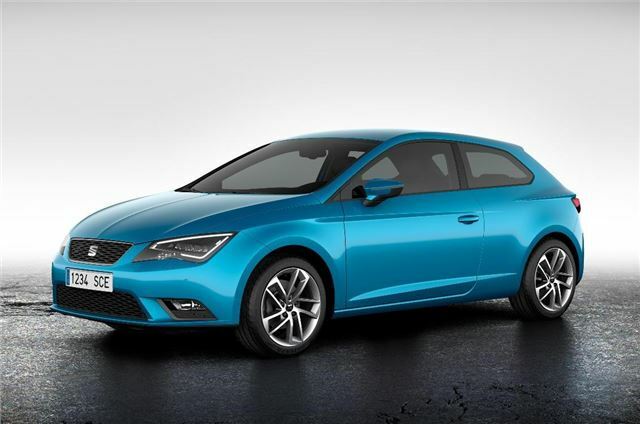 SEAT is to debut its Leon SC at the 2013 Geneva Motor Show. The SC stands for sports coupe, SEAT’s designation for three-door hatchbacks. It’s slightly shorter and obviously it loses two doors - but has the same sharp good looks of the standard Leon hatchback. The Leon SC will be sold in the same range of trim levels as the five door – S, SE and FR – and has the same range of engines. Rear headroom is identical, as is the volume of the boot, but rear legroom will likely be tighter thanks to the shorter wheelbase and reduced overall length. Chances are it will be slightly cheaper than the five-door when it goes on sale later in the year, but official details and pricing will be announced at the show in March. You can read our review of the five door model by clicking here.